Usually accented by very large windows and high ceilings, exposed brick walls bring casual comfort to many Old City lofts and other Center City Condominiums. But the look of those walls need not stay the same again and again. One option is to varnish, or apply polyurethane to the brick, which controls the brick dust accumulation, and gives the brick a bit of a shine, sort of similar to shiny hardwood flooring. 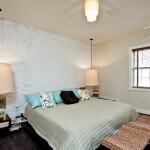 Another choice, which I personally prefer, is to painted the brick. Though I can rarely convince others to paint their exposed brick, some of the coolest and most hip looks are achieved by painting interior exposed brick finishes. Of course, once you paint an exposed brick wall, you are kinda’ stuck with the look, unless you go and have the walls sandblasted. Not a process I would wish upon my worst enemy! Messy, to say the very least. Looking for a cool and hip condo? Let’s take a look at some units together? Maybe a Fitler Square Condo? Give me a call at 215.521.1523 or email me at Mark@CenterCity.com. Do I need to buy Title Insurance if I am paying cash for my Philly condo? Technically, in the State of Pennsylvania, if you do not obtain mortgage financing, no one is going to force you to buy title insurance on your new Old City or Rittenhouse Square condominium. But as your Realtor, with your best interest in mind, I am going to rant and rave until you agree to buy it. A mere title search doesn’t always reveal all the flaws that could potentially be a part of the chain of title. And title searches are not free. Not to mention you will need to pay an attorney or title company closing fees and notary fees to complete your transaction if you do not purchase title insurance from them. 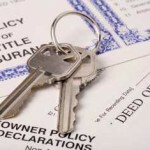 Closing fees and search fees are usually waived if you purchase the title policy. Since you will need to put out several hundred dollars for these services if you waive title insurance anyway, you might as well pay the difference and protect yourself against the unthinkable. 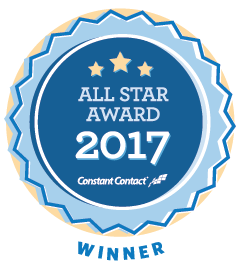 The peace of mind of having your title company to call and not having to deal with an old lien or back taxes that suddenly show up on your title – priceless! As a longtime Philly Realtor, I see the value in a good appearance of a given, say Old City Condominium, and a good first impression. One that does not include dirt! It is one thing if your kitchen has white appliances and Formica counter tops. Buyers can look past that. Most folks can even get passed your vanilla bathroom and maybe even the lack of good natural light. But your dusty brown futon from your college days? Your clear lack of ownership in a vacuum, or a mop? More than any home improvement, if you are looking to increase the value of your condo in Philly, get yourself some Clorox, and get cleaning. 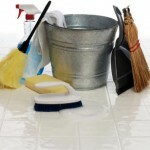 Most buyers are not interested in having your dirt and grime included with the sale. Unless of course, you are looking to kill your resale value. Old City Philadelphia: the neighborhood that was once blighted with unattractive and massive warehouses is now the place to be for many searching for a hip and groovy Philadelphia Condos. 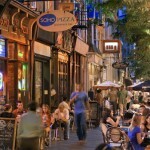 Once referred to as the “Warehouse district”, Old City has become the hip urban neighborhood that is much in demand! Converted factories and lofts dominate the Old City condo set. Though few townhouses are located within Old City, many buyers find the attraction to the variety of loft space a real draw. Old City Condos in the area are many and varied. From studios to larger rambling spaces, the historic fabric and eclectic visuals make Old City a popular buying destination for Philadelphia’s residential condo buyers. 108 Arch, The Moravian condominiums, York Square, Bridgeview Place condos, Wireworks condos, and the National in Old City are some of the big name condos in the area. All of Old City falls within the 19106 zip code. Area boundaries for Old City Philly are: Front St. to the east, 5th St. to the west, and Walnut St. to the south, and Wood St. to the north. I personally have lived in Old City for 17 out of my 20 years here in downtown Philadelphia, and really enjoy the neighborhood. The charm, history, and area shopping proximity are just a few bonuses to my Old City condo! See video of an Old City condo that aired on HGTV! Old City Condos for sale!